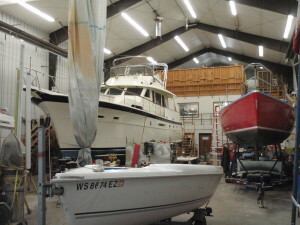 Big or small, sail or power, we service them all. From routine maintenance to major repairs, system upgrades, and complete refit projects, we can do the job. We are an experienced and skilled team of managers, technicians and craftsmen who don’t just talk the talk, but also sail and operate a variety of boats. We not only have the technical skills and experience to service your boat, but the time we’ve spent on the water, from coastal fishing and cruising to offshore voyaging and racing gives us a clear understanding of how important our workmanship is to your boat’s reliability and the confidence you need when taking it out on the bay, Lake Superior, or beyond. With more than 30,000 sq. ft. of indoor heated service and storage space we have the capability to do extensive service and repair projects year-round. We have a well stocked parts department with a wide selection of maintenance supplies and replacement parts for both sailboats and powerboats. Our extensive parts inventory supports the needs of both our service staff and the “do it yourself” boat owner. 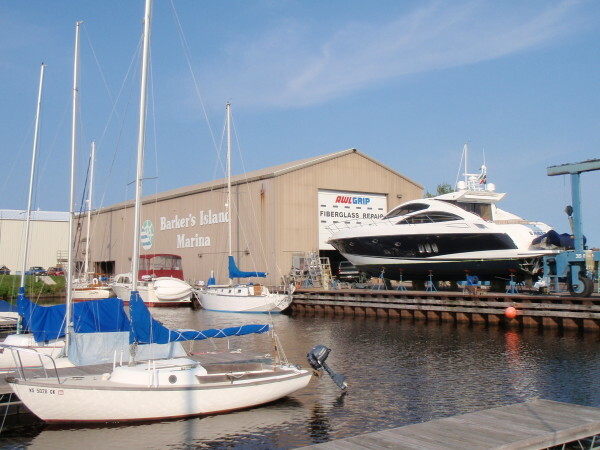 Our knowledgeable staff is ready to assist you in selecting and sourcing the best parts and accessories for a particular boat project or application. 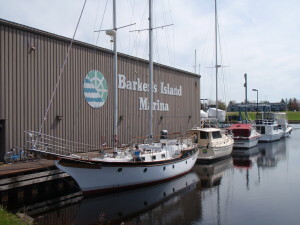 I have worked with Barker's Island Marina on upgrades, repairs, and maintenance of my boat. They are first rate. Their advice is sound, as they are boaters and sailors first. The work is high quality, done right the first time. The staff is friendly and helpful, anxious to see you happy. Sail or Power, Big or Small, We Service Them All.